Lana Del Rey is the new face of Gucci! She will be joining Jared Leto on the new campaign for the Gucci ‘Forever Guilty’ perfume, which will be out worldwide in January 2019. A party was thrown in celebration of the pair and creative director Alessandro Michele at Hollywood Forever Cemetery on November 2; a place Michele has drawn inspiration from countless times. Courtney Love was also in attendance and she delivered a behind the scenes look on the guccibeauty Instagram account (watch here). Lana and Jared both wore Gucci designed by Michele to the 2018 Met Gala. Introducing @lanadelrey as the new face of #ForeverGuilty, captured with @jaredleto who returns to star in the campaign for the Gucci Guilty fragrances. Celebrating the scents at a party in the Hollywood Forever Cemetery, Los Angeles #LanaDelRey wore a custom #gucci lurex dress with asymmetric pleated sleeves and skirt by #AlessandroMichele, and #JaredLeto wore a striped jacket and pants from #GucciCruise19. The new campaign directed by @_glen_luchford will launch in January. #GucciBeauty Watch scenes from the party captured by @courtneylove on @guccibeauty’s highlights. Lana Del Rey attended the Costume Institute Gala at the Metropolitian Museum on May 7. The theme this year was ‘Heavenly Bodies: Fashion & The Catholic Imagination’. Lana wore a custom-made Gucci dress and was in attendance with her two Gucci angels: Jared Leto and designer Alessandro Michele. Michele – being the creative director of Gucci – designed the outfits for three of them. Read more about Lana’s look below, and click here to see the details close-up. 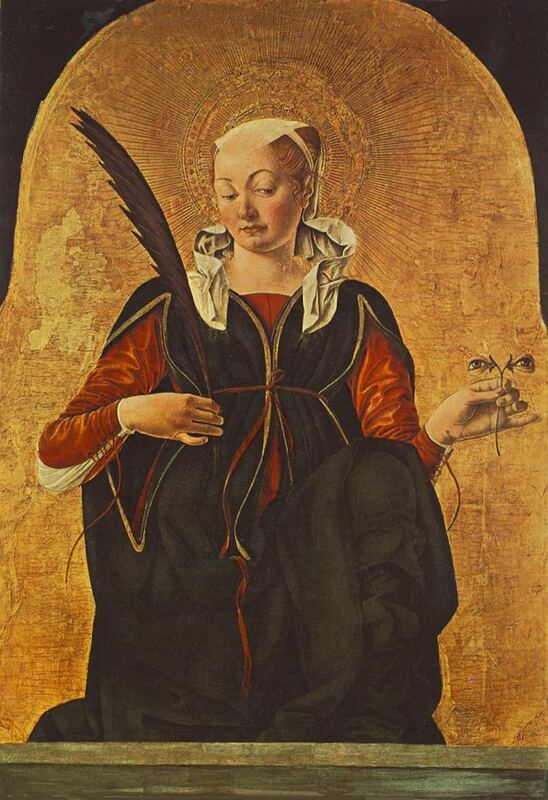 The long sleeve silk cady and lace grown was inspired by Our Lady of Sorrows by Alessandro Michele. 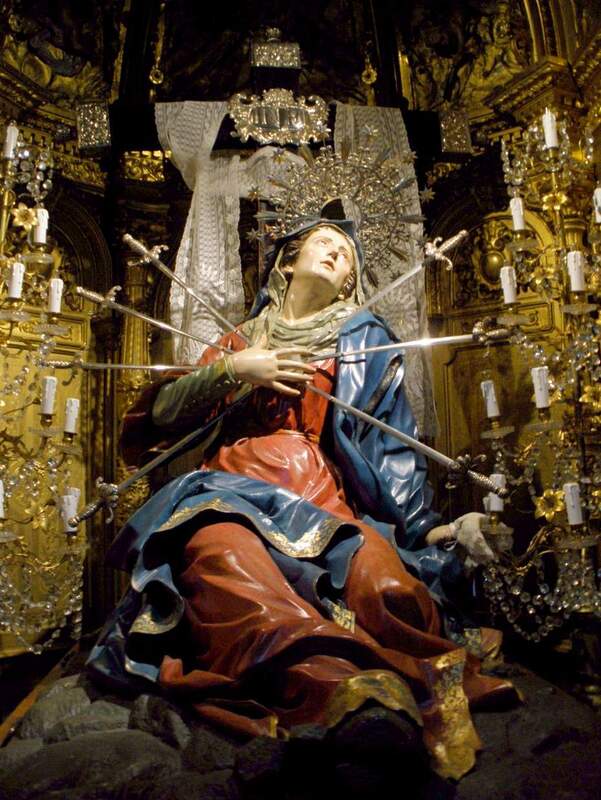 The bodice features ‘The Seven Sorrows of Mary‘ with the initials LDR on the sacred heart. The skirt features hand stitched hold metal and coloured silk thread embroidery inspired by baroque floral motifs and daggers, with a pleated tulle and lace underskirt. Completing the look is a handmade headpiece (inspo here) with blue and white painted feathers and crystal halo, ivory satin loafers with embroidered lotus and handmade antique glass stick representing the eyes of Saint Lucy. On April 23, Lana Del Rey attended the 35th Annual ASCAP Pop Music Awards in Beverly Hills, where she received the ‘Global Impact Award’. Chuck Grant, Emma Elizabeth and Joshua Tillman, Rick Nowells, Ben Mawson and Ed Millet were in attendance to support Lana, in addition to some fans who Lana took some photos with. At the show, Father John Misty (Joshua Tillman) performed a cover of Lana’s song ‘Ride’, which Lana’s manager Ben broadcast live on Instagram. On March 13, Lana Del Rey attended the première of the film ‘Flower’, held at the Archlight Theatre in Hollywood, California. 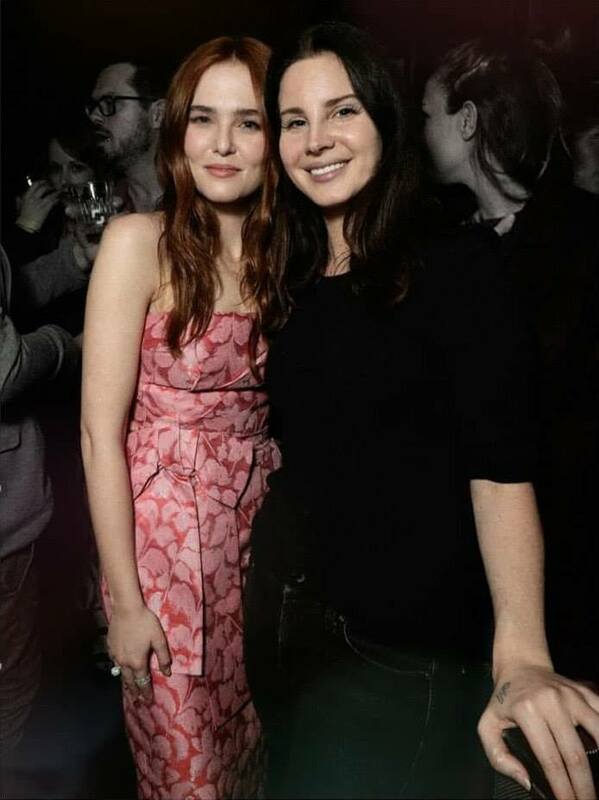 Afterwards, Lana went to the after party and was photographed with Zoey Deutch who is the lead actress in ‘Flower’. Lana tweeted saying it’s her new favourite movie!